Mostly scripts are used to search certain objects on different levels of the system. 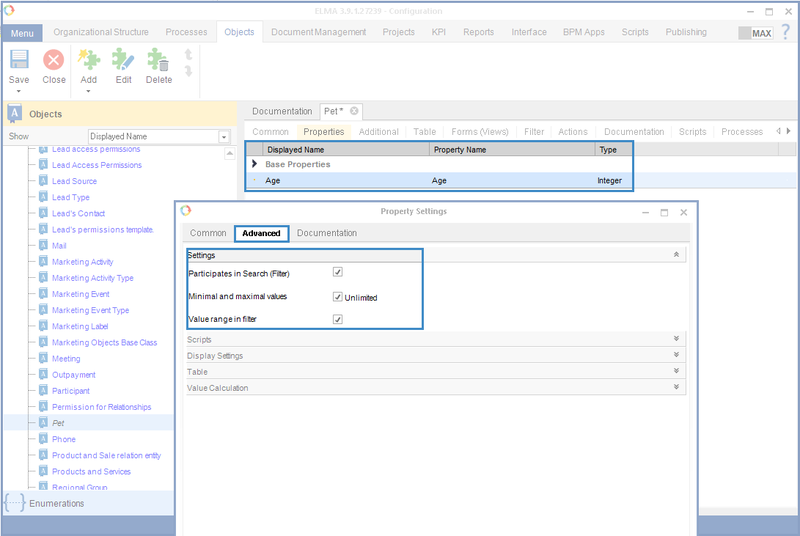 In ELMA you can search for objects using the Find or FindAll methods of entity managers. We recommend using the FindAll() method for debugging purposes only. It may cause big performance issues if used for the objects with a large number of items. A filter is a class located in the same namespace as the object class. Its name is formed from the object’s class name and the Filter postfix (e.g. the filter for the Pet class is named PetFilter). When a filter is used, the search is done according to equality of the value in the filter and in the database, if there are no other specific settings (for example, for an Integer variable you can specify that it should be filtered by range, not equality). In case of a String variable, filtering is done by the substring (regardless of case). Any type of variable can participate in filtering. 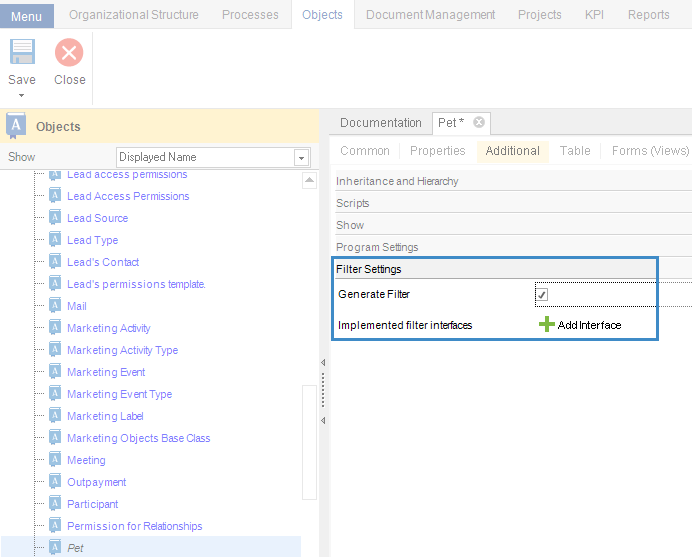 You cannot change the filtering settings for system objects. (!). In the example, the p => p.Owner == context.Contact && p.Name == "Sparky" expression was used for filtering. According to this expression, you must find all the objects belonging to the Pet type, where Owner property’s value = value of Contact variable from the context AND Name is equal to “Sparky”. When using lambda expressions, you do not need to bother about filter settings, you can search by any object and by any property of the object. Lambda expressions have certain limitations. As you can see, lambda expressions give you more possibilities and yet additional limitations, although you can use them regardless of the object’s setting. If you need a more flexible and advanced search system you can try using the EQL language. Each filter in the system inherits the base IFilter interface, which contains the Query property. You can create a query in this field using EQL in order to select objects with a rather flexible condition. Query = "(Kind IS NULL OR Age > 25) AND Owner IN (Name = ’Jack’)"
In this example, all the objects of the Pet type for which Kind is either blank OR Age is greater than 25 AND Owner’s Name = ‘Jack’ was searched. Let’s review it step by step. You can use this search method in many ways. EQL queries are very flexible and allow you to search by almost any condition.